One of our favourite things about the ArtStarts Gallery is that we get to showcase artwork created by students from across the province of British Columbia. The only thing that could make that even better is if we could bring everyone from all corners of BC (and beyond!) into our gallery to see our exhibitions firsthand and experience all this amazing artwork created by young people. Well, if you're not able to make it to Vancouver between now and September 25, 2016 to check out our View Finders exhibition, the next best thing is to watch our virtual gallery tour videos! There are nine videos to explore: an overview of the whole exhibition, plus a video for each project on display. We would like to thank the team who made these videos possible. 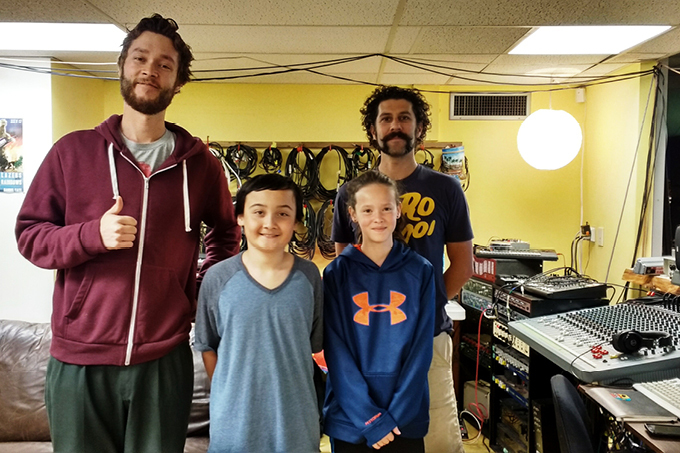 Macartney Wigg and Liam Sutton are the amazing Grade 5 students from Happy Valley Elementary in Victoria who performed the voice-over narrations. Sound Engineer Peter Henrich took on sound recording and sound editing. Photography and video editing were done by Juan Pablo Martinezguerra. Scripts were written by Siobhan Rich. Juliana Bedoya curated the View Finders exhibition and the images for these videos. And, of course, we want to thank all the students, teachers and artists from across BC who worked together to create the featured artwork. View Finders is open to the public at the ArtStarts Gallery until September 18, 2016. Visit the gallery at 808 Richards Street (at Robson) in downtown Vancouver, Wednesday through Sunday from 10am to 4:30pm. Admission is free and all ages are welcome!